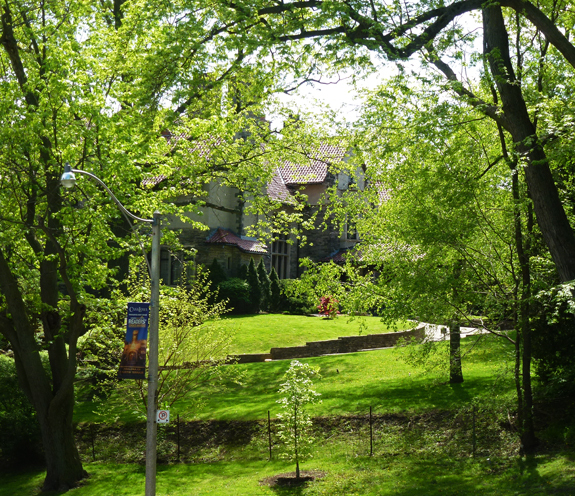 This large house is found across the road from Casa Loma but it is very hidden by all of the trees and shrubs on its property so it may not get noticed by the visitors to the Casa. Originally built as a private home this is now a convent. ...neat things disappear this time of year. Lovely summer photo with all the rich greenery. It certainly has a park-like yard around it. What wonderful views they must have from there. So great so see in your photos! SO green! I love it! Looks like an interesting building. Interesting spot, and all that lovely greenery! I bet it's a very peaceful place too.